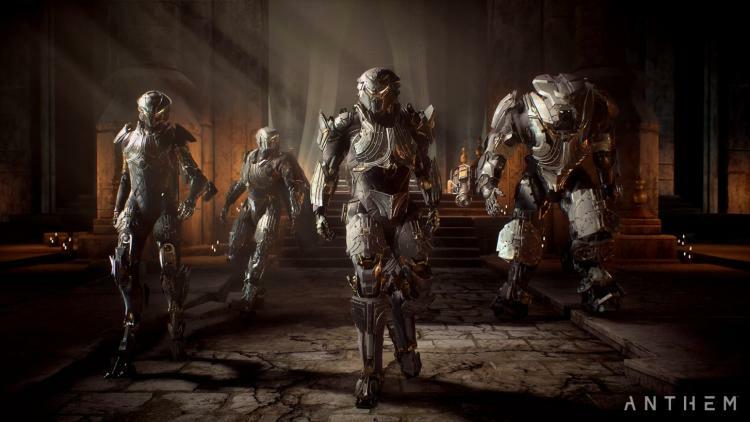 EA's Anthem is due to launch on PC in February, but beta tests and demos mean that graphics card drivers need to be ahead of the game. Such is a rationale for AMD today as they release the latest update to Radeon Software Adrenalin 2019 Edition, a driver package which will provide preliminary support and improved performance characteristics for the upcoming blockbuster. Radeon Software Adrenalin 2019 Edition 19.1.2 is AMD's second major driver update this month, and has been timed to coincide with the launch of Capcom's Resident Evil 2 remake, Tropico 6, and the aforementioned Anthem. The stability improvements typically denoted by 'Support for' are often essential for day one experiences, and this driver is a continuation of AMD's welcome efforts in issuing regular updates for major title releases. Due to its preeminence in the gaming landscape this quarter Anthem gets top billing, with the driver offering performance improvements of ~7% compared to 19.1.1 at 1080p on a system equipped with RX 580. That will definitely help to inform customers trying out the game demo over the next few weeks before laying down money for a pre-order, and by focusing on RX 580 performance they're angling for the mainstream rather than more niche segments. More fixes are also listed in this driver, including erratic FreeSync behaviour when playing Rocket League and the slightly over-eager driver update notification popup. Alongside these, new issues have been identified which should be addressed in an upcoming update. As ever, that's nice to see. Download the Radeon Software Adrenalin 2019 Edition 19.1.2 drivers at the following link, supporting 64-bit versions of Windows 7 and 10. - Some displays may experience a black screen on reboot until the display is power cycled. - A toast message may intermittently popup incorrectly suggesting that a new driver upgrade is available. - Rocket League™ may experience flickering or erratic refresh rates when Radeon FreeSync is enabled. - Custom installations of Radeon Software may sometimes fail to install Radeon Settings. - Radeon Settings may experience an application crash when Upgrade Advisor is refreshed by the user multiple times. - Users may not be able to upgrade to an optional driver if the latest recommended driver was installed by AMD Link. - Game Advisor may fail to load compatibility information for games when the gaming library is very large.